Production Capacity VTD (6-12-18-24-36-48-96 ) trays. 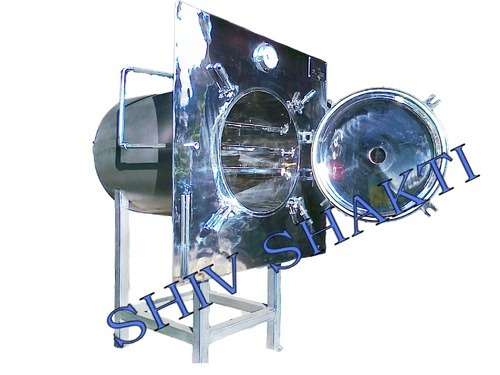 Incepted in the year 1979, 'Shiv Shakti Process Equipment Private Limited' has been at the forefront of manufacturing and exporting of process equipments/machines, engineering system, industrial vacuum dryers, rotary vacuum dryers, turnkey projects, for pharmaceuticals, API, specialty chemicals, agro chemicals & allied industries. Apart from manufacturing, the group is also involved in sourcing, inspection and supply of a variety of equipments to meet the specific requirements of our customers. Shiv Shakti‘s ability to work with a wide variety of custom application means you can get technology, equipment & services at one location. Consult with our experienced team, We will carefully asses your requirement to determine the most appropriate solution. We provide full range of services including process development, design, manufacturing, installation, training & technical support. Backed by a sound infrastructure facility assisted by a experienced team of professionals, we have been able to carve a niche for ourselves in the domestic as well as international arena.We thank you for valuable time to understand us. Please contact us and we shall be please to assist you.